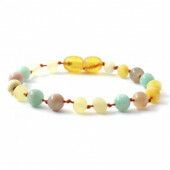 Amber necklaces and bracelets for children and adults	There are 59 products. A bracelet for children with a length of either 14cm or 18cm, whihc you can pick in the menu. 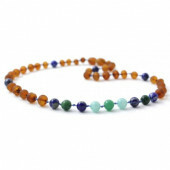 Made of amber which helps reduce teething pain. 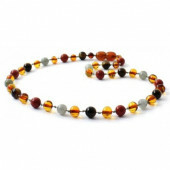 A beautiful amber necklace with different lengths for baby's children and adults. A necklace for children with differnt lengths. 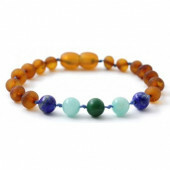 Made of amber which helps reduce teething pain. A necklace for children with a length of 28cm. 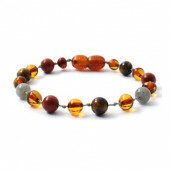 Made of amber which helps reduce teething pain.